come on out if you around. 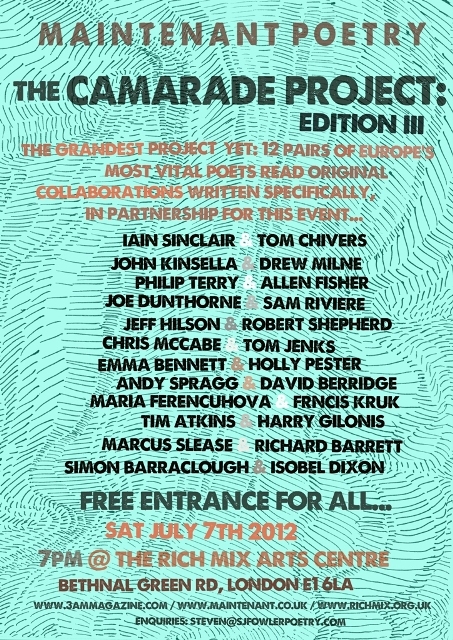 Some fun collaborations happenin . . it’s The Camarade Project Edition 3. I am reading some collaborative work with Richard Barrett. Quite a line up!! !